Two hundred small businesses are to participate in a pilot that lets them accept contactless payments using just a mobile app on their NFC smartphones. “No separate payment terminals nor other peripheral equipment will be needed,” Mastercard says. The pilot is being conducted by Mastercard in conjunction with Elavon, Polskie ePłatności and Mobeewave and is due to run from autumn 2017 until the summer of 2018. “Poland is one of the worldwide leaders in contactless payments,” Mastercard adds. “More than two-thirds of transactions with Mastercard cards in Poland are already contactless. Moreover, according to the National Bank of Poland, Poles carry 29.4m contactless payment cards in their wallets, which already accounts for nearly 78% of all cards. 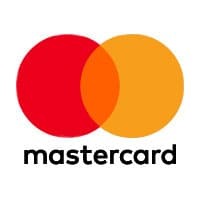 “Mastercard is committed to enable every connected device to accept payments — and I am delighted that Poland is the first country where this latest innovation in payment technologies is being tested,” says Bartosz Ciołkowski, Mastercard’s country manager for Poland. “This project is an important step in widening the possibilities in merchant card acceptance in Poland through innovations in the hardware itself, which offers convenience and ease of use for both merchants and consumers,” adds Janusz Diemko, president of Polskie ePłatności. XPressTap already does this (Also accepts other card networks in addition to MasterCard) although it isn’t available in Poland yet. Certainly in the US, merchants have a number of options that they can use to accept payments using mobile devices rather than dedicated terminals.. These services usually come at a premium and are most attractive to merchants that have low transaction volume. Aura Pay already does this for FashionTech Wearables.